There is difficult origami, and then, there’s this. Twitter user Ori2ga3mi designed this Godzilla origami, after doing studies of the kaiju. Here is the final folding blueprint Ori2ga3mi created. 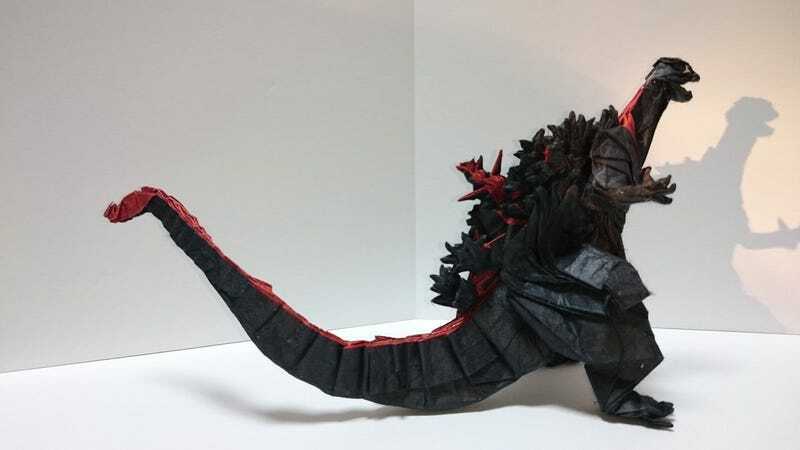 Making this origami Godzilla seems fiddly as hell. There is not a single cut in this origami. Every part is folded. Follow Ori2ga3mi for more cool folding art.